LONDON — Britain has voted to leave the European Union, a historic decision sure toreshape the nation’s place in the world, rattle the Continent and rock political establishments throughout the West. Despite opinion polls before the referendum that showed either side in a position to win, the outcome nonetheless stunned much of Britain, Europe and the trans-Atlantic alliance, highlighting the power of anti-elite, populist and nationalist sentiment at a time of economic and cultural dislocation. In response, Martin Schulz, the president of the European Parliament, said the assembly would hold an emergency session on Tuesday to address the decision by British voters. Economists had predicted that a vote to leave the bloc could do substantial damage to the British economy, but Mark Carney, the head of the Bank of England, sought to address those concerns on Friday, saying the bank had made extensive contingency plans and had taken “all the necessary steps” to prepare. Mr. Cameron had vowed before the vote to move quickly to begin the divorce process if Britain opted to leave. But he said on Friday that he would leave the start of the formal process to his successor while seeking in the interim to calm the atmosphere before taking any action. In the meantime, nothing will change immediately on either side of the Channel, with existing trade and immigration rules remaining in place. The withdrawal process is expected to be complex and contentious, though under the bloc’s governing treaty it is effectively limited to two years. India will have to wait for some more time to gain membership of the Nuclear Suppliers Group as the 26th plenary meeting of the elite grouping in Seoul, South Korea concluded on Friday without any discussion on its bid. Even as allegations and counter-allegations fly thick and fast, and Prime Minister Narendra Modi prepares his defence on why despite his personal charm and trips to NSG member nations he couldn't muster enough support to get India a seat on NSG's high table, the million-dollar question being asked is 'What's the big deal about an NSG membership." * The Nuclear Suppliers Group is in a sense a traders' cartel. Even though India can indegenously work on its nuclear programme, it needs access to state-of-the-art technology to compete with global leaders (NSG member states). NSG membership helps India to be part of the global commons. * China has been hammering home the point that India's refusal to sign the (Nuclear) Non-Proliferation Treaty has been blocking its entry into the 48-member elite grouping. However, New Delhi's reluctance stems from the fact that signing the NPT would hinder its development of a nuclear arsenal. That situation is unlikely to change in future. * India plans to have nearly 15,000 MWe of nuclear capacity on line by 2020. In 2008, the United States gave a waiver to India allowing it to import nuclear power plants and uranium fuel and to put itself more fully under the international safeguards regime without having to abandon its nuclear weapons. However, there are more advanced technologies in operation with other NSG members. And India -- as China advised it to do after the NSG's Seoul plenary -- will have to think 'out the box' to get access. * Joining the NSG would trigger manufacturing and innovation in India through which it stands to gain economic and strategic leverage over its neighbours. 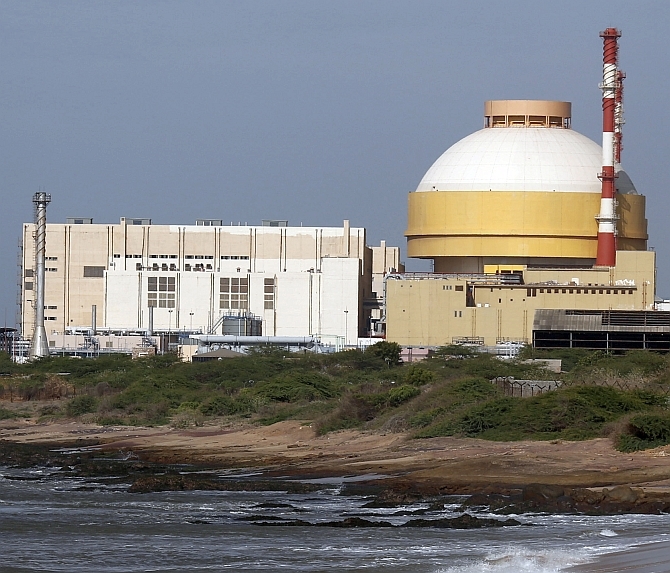 That India knows how to build reactors is no secret, but given the fact that neighbouring Bangladesh is trying to get access to Russian reactors and New Delhi's existing nuclear cooperation agreement with Sri Lanka, an NSG membership would enable it to offer low cost 'Made in India' reactors to them. * This one's a long shot. For a new nation to enter the NSG, all 48 members have to give a consent. India being a member would effectively negate Pakistan's chances of entering the grouping. May be that's why Beijing had been insisting on NSG members looking at Pakistan's case for membership. But given Pakistan's chequered nuclear proliferation record, India won't be the only country rejecting Islamabad's bid. Such a plan couldn’t work without the cooperation of the British and American companies who controlled the oil industry in the Middle East, which is why the CIA operative, George Prussing, ended up at the Ministry of Fuel and Power in London that day. To the British representatives of Iraq Petroleum, Kuwait Oil and Bahrain Oil, Prussing detailed how their production operations in those countries would in effect be transformed into a paramilitary force, trained and ready to execute the CIA’s plan in the event of a Soviet invasion. He asked for their help, and they agreed to cooperate. He also emphasized the need for security, which included keeping the policy secret from the targeted Middle East countries. “Security now is more important than the success of any operations,” Prussing told them. The CIA’s oil denial policy is a snippet of a Cold War history that is finally giving up more of its secrets. In 1996, a brief description of the plan emerged after the Truman Presidential Library mistakenly declassified it—a security breach the National Archives deemed the worst in its history—and some additional details have trickled out over the years. But a recently discovered trove of documents stashed in Britain’s National Archives, along with some key American documents, now declassified, provide a more complete and more revelatory account—published here for the first time. Why Is Congress Abandoning Our Afghan Interpreters to Their Fate? LIKE many Americans, I am still haunted by images from the last days of the United States’ withdrawal from Vietnam in 1975. Newscasts showed South Vietnamese desperately trying to scale the walls of our embassy in Saigon to board the last helicopter flights out of the country. The fear in their eyes was chilling. Many of these Vietnamese had assisted the American mission. As the North Vietnamese advanced on the city, these people knew that they faced a harsh fate if they were left behind. For the last three years, Senator John McCain, Republican of Arizona, and I have been trying to prevent history from repeating itself, this time in Afghanistan. Since the American-led invasion in 2001, our service members and diplomats have relied on thousands of Afghans, particularly as interpreters. These are brave men and women who put themselves and their families at risk to help American officials and troops accomplish their missions and return home safely. Implicit in their willingness to help the United States is an agreement that they’ll be protected. The State Department’s Special Immigrant Visa program allows these Afghans to seek refuge in the United States. These visas are reserved for men and women who undergo rigorous screening and can demonstrate at least two years of faithful and valuable service to the United States. As The Hague’s arbitration ruling on the South China Sea territorial conflict—levied by the Philippines against China in 2013—is approaching, questions abound whether the United States and its allies can maintain peace amid rising tensions stemming from an increasingly assertive China. While the ruling may set a precedent in strictly legal terms, it will ultimately be nonbinding, with the tribunal lacking the power to enforce its decision. Beijing has not spared the rod in condemning the “unilateral” move by the Philippines, and has managed to coax some forty countries onto its side in an attempt to prevent the UN General Assembly from discussing the territorial disputes any further. Moreover, a number of ASEAN states with no territorial claims in the South China Sea have broken ranks and signed a statement agreeing not to let the dispute affect relations with China. In any case, China has already preemptively rejected the outcome of the tribunal, arguing that the arbitration “is neither well-grounded nor justified” and that the decision “won’t affect China’s sovereignty over South China Sea islands, or whitewash the Philippines’ illegal occupation of China’s islands and reefs in the South China Sea.” As J. Michael Cole has pointed out, this condemnation is based on “the historical narrative of ’national humiliation’ and the belief that as a product of Western imperialism, global institutions and the legal architecture of international law are little more than mechanisms to maintain a skewed distribution of power.” In effect, the court’s ruling against China is “evidence” that the West is attempting to keep China down. In the wake of the ruling against it, China is expected to declare an Air Defense Identification Zone over the disputed area with the Philippines to protect its interests, as it did over the East China Sea in 2013. U.S. officials have expressed concern, stating that an ADIZ would prove provocative and destabilizing. A new Army War College report, Outplayed: Regaining Strategic Initiative in the Gray Zone, argues that the United States should adopt innovative approaches against a new and more complex set of international security challenges. “Outplayed” is the culmination of a nine-month study effort that was sanctioned by the Army Chief of Staff and sponsored by theArmy Capabilities Integration Center and the Joint Staff’s Strategic Multi-Layer Assessment Branch. The report concludes that — absent American adaptation and activism — the United States hazards substantial future strategic setbacks. Saudi Arabia’s Prince Mohammed bin Salman, the 30-year-old son of the king and ever more obviously the heir apparent, is just winding up a fairly low profile public relations tour of the United States. Last week he met with President Barack Obama in Washington. This week he got together with United Nations Secretary General Ban Ki-Moon in New York. In between he visited Silicon Valley and talked up his Vision 2030 program to overhaul and modernize Saudi Arabia’s economy. But MBS, as he’s known, has attracted the world’s attention since his appointment as deputy crown prince and minister of defense early last year mainly for his heavy-handed efforts, including a war in Yemen, to contain and roll back Iranian influence in the region. (FPRI) — Omar Mateen’s violent rampage that killed 49 people at an Orlando nightclub on June 12, 2016 solidified a dangerous new trend of cascading terrorist attacks in the West. Successful directed attacks both encourage networked terrorist attacks and mobilize inspired supporters to commit violence in their homelands. Dating back more than a year ago to the wake of the Charlie Hebdo attack in Paris, tracing responsibility for terrorist attacks to either the Islamic State or al Qaeda has become increasingly challenging. Some attacks demonstrate direct linkages back to top terror leaders. But most attacks have differing degrees of connection to either terror group’s central headquarters. As of today, the two most recent mass shootings in San Bernardino and Orlando show no direct connection between Islamic State and its inspired supporters. In some cases, inspired attacks show an affinity for the terror group’s online propaganda and/or leaders. 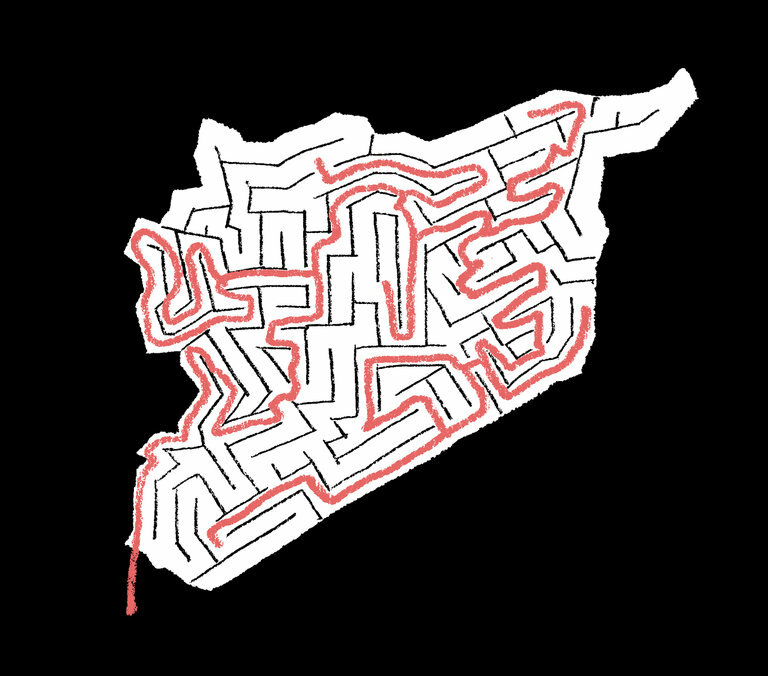 But the greater the distance between the attack location and Syria or Iraq, the more muddled the linkages become between attackers and terror groups. The Islamic State’s successful direction of the Paris attack sparked a rapid increase in networkedattacks – attacks committed by terror group affiliates and former foreign fighters operating in cells acting largely on their own initiative, but relying on support from their chosen groups network. In the weeks after the Paris attacks, Islamic State affiliates perpetrated a suicide bombing in Tunisia, a car bombing and assaults in al Arish and Giza, Egypt, a car bombing in Yemen, a suicide bombing in Istanbul, Turkey, and a multi-prong attack in Jakarta, Indonesia. If Soviet tanks had invaded the Persian Gulf in the late 1940s, the U.S. and Britain had a plan. Iran’s foreign-policy establishment is in chaos. The last week has seen a catena of maneuvers by the system’s key players. Rumors, reassignments and threats have been the order of the day. Yet determining how America should respond won’t be easy; indeed, it requires a fundamental vision of the U.S. approach to Iran. Things kicked off last week when a former leader of the Islamic Revolutionary Guard Corps (IRGC) alleged that Abbas Araghchi, a senior foreign-ministry official and nuclear negotiator respected by Western interlocutors, is a member of the IRGC’s external action wing, the Quds Force. The Quds Force has been linked to numerous terrorist plots, and its members face restrictions; as Al Monitor’s Arash Karami notes, this could lead “foreign delegations [to] request that Araghchi no longer be involved in ongoing negotiations over the implementation of the nuclear deal,” hindering those negotiations and thereby increasing pressure on Iranian president Hassan Rouhani. Then, last Friday, Al Monitor’s Laura Rozen reported that Foreign Minister Mohammad Javad Zarif had “signaled that he has more authority on the Syria file than he has had until now, and that Iran may be prepared to show more flexibility to advance a political solution.” Rozen linked this to a meeting between the Iranian, Russian and Syrian defense ministers in Tehran earlier this month, which saw similar signals by Iran, and to the subsequent appointment of Secretary of the Supreme National Security Council Ali Shamkhani to handle “political, security and military affairs with Syria and Russia.” This would shift the Syria file away from the de facto control of the IRGC. The battle against the Islamic State in Libya may be at a new and optimistic peak, but politically, the country is still a chaotic mess. The multi-pronged battle to wrest control of the Libyan coastal town of Sirte from the Islamic State may be distracting the transitional, U.N.-sponsored Government of National Accord (GNA) from uniting the country’s warring factions and reaffirming trust in unbiased, national-level institutions. The international actors that have thrown their weight behind GNA as a channel to counter the Islamist state may be well advised to seek out an alternate strategy if this transitional government falters in its mandate. In the two years since Libya’s descent into violence, competing political groups and the array of militia groups scattered under their respective military umbrellas have driven rival factions to splinter, leaving space aplenty for the Islamic State to exploit. The Islamic State embedded itself in Sirte late last summer and expanded its territorial holdings across more than 100 miles of Mediterranean coastline and into southern regions. Libya’s disparate political-militia groups, now including those affiliated with the GNA, are competing to be the main expeller of the Islamic State from Libya. In clear, detailed but powerful prose, Perry’s new book, My Journey at the Nuclear Brink, tells the story of his seventy-year experience of the nuclear age. Beginning with his firsthand encounter with survivors living amid “vast wastes of fused rubble” in the aftermath of World War II, his account takes us up to today when Perry is on an urgent mission to alert us to the dangerous nuclear road we are traveling. The pound and global market futures crashed as the Brexit campaign to leave the European Union pulled off a shock victory. LONDON—Britain has voted to leave the European Union, stunning global financial markets and sending a seismic shock through the Continent. The pound suffered its worst day in more than 30 years, plunging downwards, as DOW futures and other markets prepared for a huge jolt to the global financial system. A leading anti-European Union campaigner, who had earlier said he expected to lose the referendum, reappeared as dawn broke over Britain to claim a dramatic victory. "Let June 23rd go down in history as our Independence Day," shouted Nigel Farage, leader of the U.K. Independence Party, with both arms held aloft. As he spoke, billions of pounds was already being drained from the British economy. The EU referendum exposed a gaping fault line in our society – and it’s not between left and right. There are streets in Hampstead, the wealthy northern suburb of London, where the pro-EU posters outnumber cars. A red “Vote Remain” in one. A “Green Yes” in another. The red, white and blue flag of the official campaign sits happily next to a poster from the left-wing campaign Another Europe Is Possible proclaiming that the world already has too many borders. If you were looking for an equivalent street in Hull, in the north of England, you would look for a long time. In the city centre when I visited one recent morning, the only outward evidence that there was a referendum going on was the special edition of Wetherspoon News plastered on the walls of the William Wilberforce pub in Trinity Wharf. Most of the customers agreed with the message from the chain’s founder, Tim Martin: Britain was better off outside the European Union. “Far too much Hampstead and not enough Hull” – that was the accusation levelled at the Remain campaign by Andy Burnham in the final weeks of the campaign. He wasn’t talking about geography; Remain’s voice is persuasive to residents of Newland Avenue in Hull, where I drank a latte as I eavesdropped on a couple who were fretting that “racists” would vote to take Britain out of the EU. The tank deal and spy base has raised concerns among some officials in the Pentagon and nations in the region about a military buildup under leftist Nicaraguan leader Daniel Ortega. The Army has a new adversary in its battle to build a ground intelligence network the way it wants. Palantir Corp., whose data processor has won praises for reliability and ease of use from troops in the field, has given written notice to the Army that it plans to file a protest lawsuit. The Silicon Valley tech firm accuses the Army of illegally excluding its off-the-shelf software from an ongoing project to build the next version of the Distributed Common Ground System, known as Increment 2. With millions of dollars at stake, Palantir asserts that the solicitation is written in a way to accept only newly developed systems from Army contractors. Palantir also argues that the Army is violating a call-to-arms from Defense Secretary Ashton Carter, who repeatedly has reached out to Silicon Valley to form partnerships with the armed forces to produce the best information technology possible. So Robert Kagan will be speaking at a fundraising event in Washington, DC for Hillary Clinton. This report from Foreign Policy magazine’s John Hudson should come as no surprise. Kagan has been playing foreign-policy footsie with Hillary Clinton for some time now, trumpeting his disdain for Donald Trump in the Washington Post and making his sympathy for Clinton clear. It’s an audacious move on his part, one that allows him to jettison much of the baggage of his incarnation as a neocon promoter of the Iraq War and to morph into a liberal hawk. In a Clinton administration, he could play the role of a Jeane Kirkpatrick, a Democrat and Ronald Reagan’s ambassador to the United Nations. Like her, he would have a bully pulpit from which to denounce America’s foes and defend a muscular foreign policy. Like her, he would be a political defector. And like her, he has a long record of writing on foreign policy. But would Kagan actually exercise political power in a Clinton administration? Would the neocons more generally exercise influence over foreign policy in a Clinton administration? Obviously, it’s politically opportune for Clinton to take on board neocons and foreign policy realists during the campaign. Her aim is to sunder the Republican foreign policy establishment from the GOP itself. Former national-security adviser Brent Scowcroft has also endorsed Clinton. A number of other realists such as Robert Zoellick, in an open letter, have already indicated that they refuse to support Trump (which does not automatically mean that they support Clinton). Last week, however, House Republicans voted to block it. By a 216-205 voteThursday, the House passed an amendment prohibiting the department from spending money to put its new plan into effect. Not a single Democrat voted for the amendment, which was attached to the defense spending bill. It’s the second time in just a few weeks that the House GOP has tried to halt the Pentagon’s climate policies; a similar measure attached to the House’s defense authorization bill, which also received no Democratic votes, passed in May. The criticism of the Obama administration’s approach to the war in Syrialeveled by 51 midlevel State Department diplomats has raised again the issue of whether limited military strikes by the United States against the government of President Bashar al-Assad would help push it toward a peace deal. The escalating war in Syria has killed 400,000 Syrians, mostly by Mr. Assad’s forces, and displaced 12 million others. Efforts to maintain a cease-fire by the many sides involved in the fight — the Assad forces, their alliesRussia and Iran and the various anti-Assad opposition groups — have crumbled, while the Islamic State, which has established a stronghold in Syria, threatens the region and the world. All this deeply frustrates many American diplomats. But describing the crisis is not the same as having a workable and rational alternative strategy. The diplomats have not made a case for direct American military action thatPresident Obama and his senior aides have not already considered and wisely rejected. The administration believes that such action could lead to even greater chaos while committing the United States to a deeper role in yet another Middle East war. One of US President Barack Obama’s core campaign promises during the 2008 Presidential election was a military withdrawal from Iraq and Afghanistan. Following through, his actions seem to have prioritised diplomacy over interventionist military responses, and policies of ‘strategic patience’ and the prudent use of power where necessary. Part of the policy package has been the shift from the model of fighting expensive large scale ground wars, to capacity-building in partner countries to prevent the growth of violent extremism and conflict. Syria is a classic example of this strategy. It can be argued that the US’ policy is aimed at avoiding repeats of interventions in Libya, Afghanistan or Iraq – whose outcomes are virtually impossible to determine, in addition to getting bogged down in expensive nation-building exercises with no definable exit option. This is possibly why despite limited training and capacity building of a select few “moderate rebels,” the administration has been remarkably aversive to play an active role in the war theatre. This has been frequently done against overwhelming allied disapproval, including holding back on the proposed joint strike in Syria with the French forces in the wake of the Ghouta chemical attacks. At best, the US’ air strikes have focused on achievable outcomes. Tactics of coercion and dissuasion have been employed to eliminate the Syrian government’s arsenal of chemical weapons through diplomatic means, and specific targeted strikes have been carried out by fighters and drones against carefully selected ISIS targets by the CIA, and by having local players do the heavy lifting.